Ted Su Ammotara Straps.What about it? Last year, we discovered the advantages of Alcantara material and I have fall in love with it ever since. The Alcantara is known for it's abrasive and water resistance. It has been used exclusively in sports car interiors. oem or other brands straps sent into our shop in Taiwan, were broken or cracked at the strap holes area. holes area. 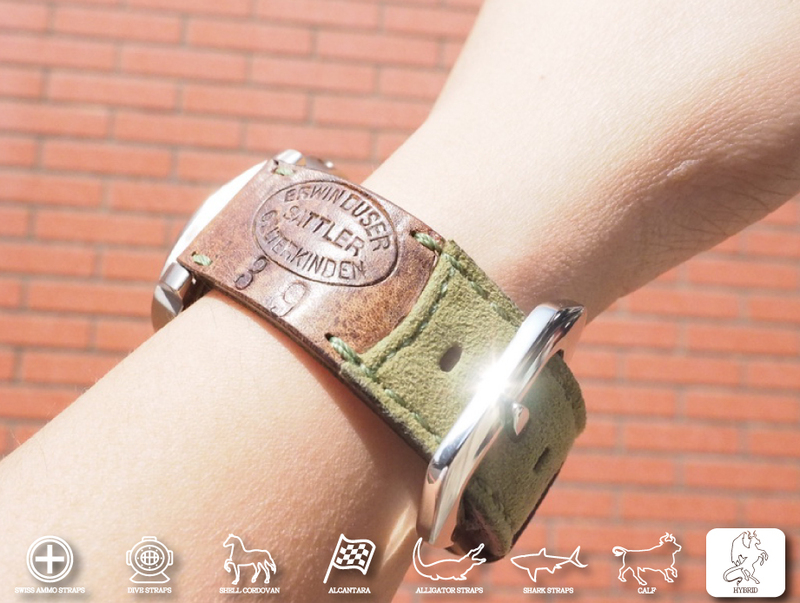 Our strap will not break into pieces, but since leather are organic materials, they will break eventually. what you see. The know how and technique behind the joining process took us many months to perfect. Now you have the best of both worlds: Leather- for it's texture and classic look, and Alcantara- for it's durability and comfort. 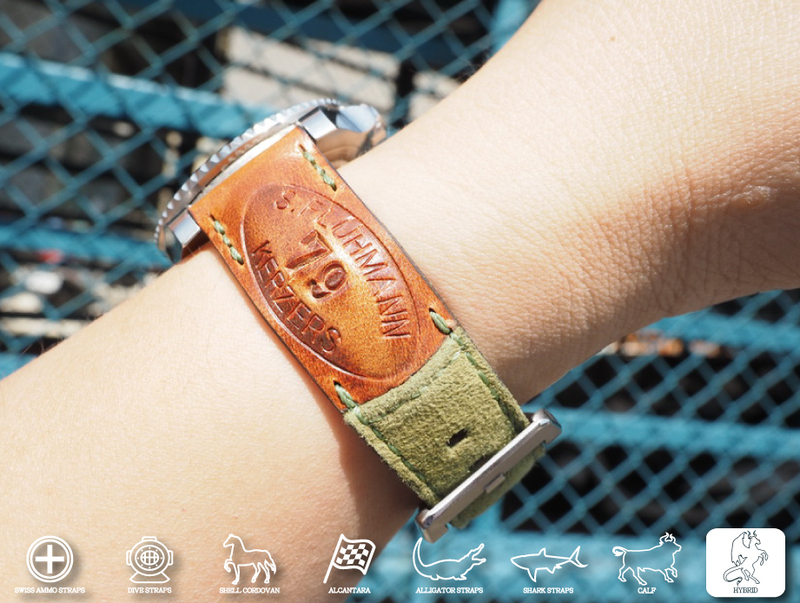 This is an original design watch strap that will fit your everyday activity perfectly and will complement your Panreai, Rolex, IWC and more. 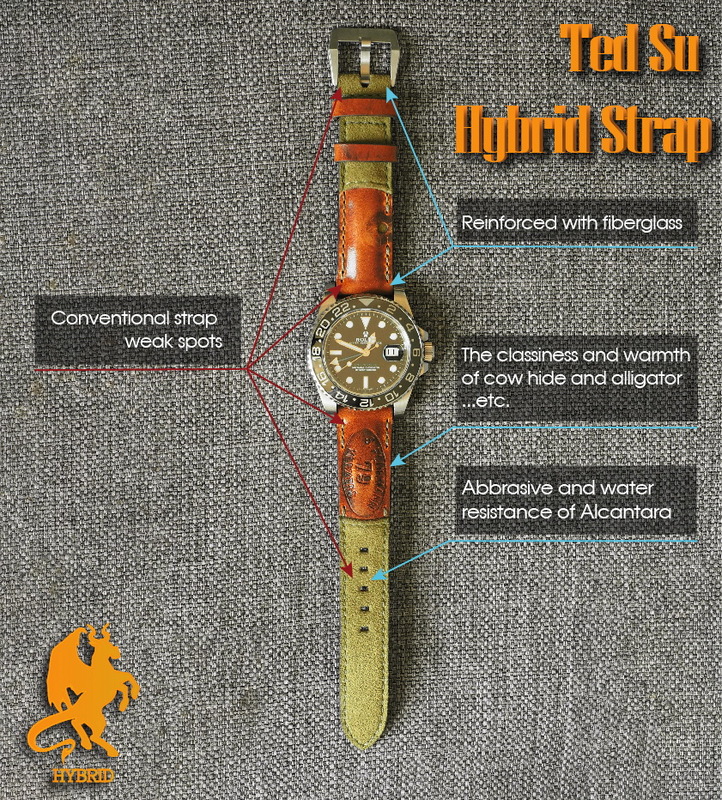 At Ted Su straps, we love interesting and original idea. We will continue to bring you more interesting projects.